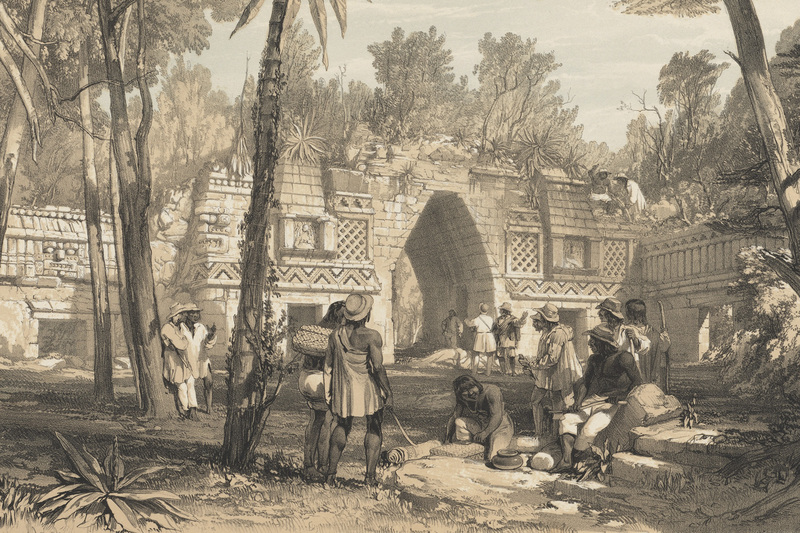 Detail of Gateway at Labnah, lithograph on stone by J. C. Bourne, based on artwork by Frederick Catherwood, from Catherwood 1844, pl. XIX. 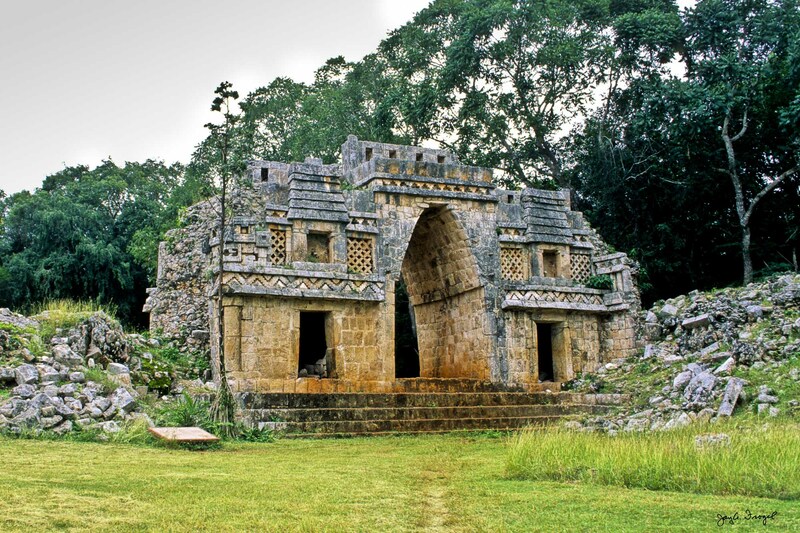 Labna, West or Interior Side of Gateway. Photo: Jay A. Frogel.